Opened on October 11 | 2014. October 9 – November 11 | 2014. 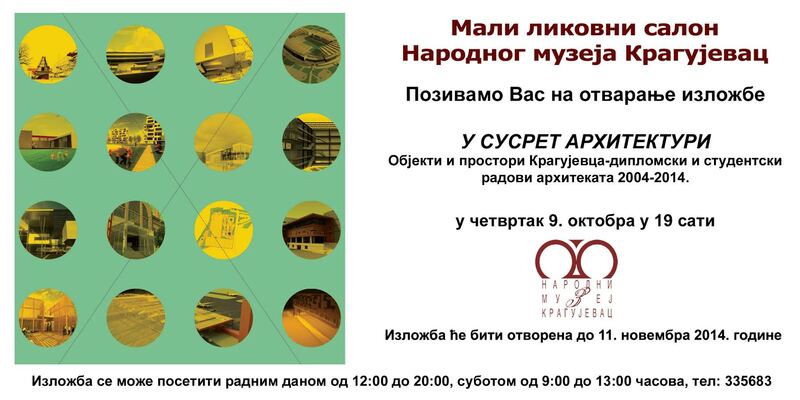 Description | Objects and spaces of Kragujevac – Student projects of architects 2004-2014.